Cayman Reef Resort Residential Condo Suite # 50 est une belle location de vacances Seven Mile Beach dans les îles Caïmans. Vous allez adorer votre séjour dans cette fantastique condo de vacances. Cette location de vacances à Grand Cayman comprend une chambre avec un lit king-size et une salle de bain spacieuse, un canapé-lit dans le salon pouvant accueillir deux personnes supplémentaires. Ne cherchez pas plus loin pour une location de condo. Ici, au Cayman Reef Resort sur Seven Mile Beach, votre point de vue à la fois de la piscine et l'océan, vous laisse avec le désir de rester plus longtemps! Pour des vacances merveilleuses dans les îles Grand Cayman, vous pouvez compter sur Cayman Reef Resort Suite # 50. The condo was extremely well equipped and cared for. The kitchen has every appliance and utensils needed. Lots of spices, paper produces, plastic wraps and foil which we never think to buy at the store. The owner Marc is a great landlord. Very attentive and even called to check on us. Will definitely rent from Marc again! Lovely condo and appreciated how all the basics were there upon arrival. We have stayed here in Cayman the past 6 years. We look forward to this trip all year. It’s clean, comfortable and a quiet place to enjoy and relax. 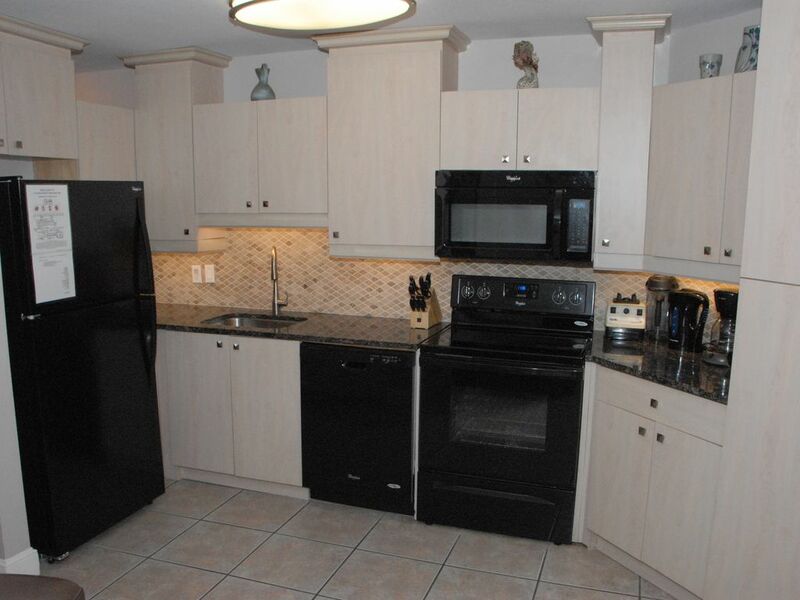 Great condo and owner-rent here! VRBO works best with a responsible caring owner-Marc is all that. Well presented comfortable unit 95 steps to the beach. Comfy sleeper sofa if needed. Stay here! Perfect Location in 7 Mile Beach. Perfect Location on 7 Mile Beach! Walking distance to tons of places. the unit was extremely cleaned and well maintained. the beach was perfect no large crowds, really peaceful. Marc was great extremely responsive with any questions or assistance that you needed. My wife and I spent our honeymoon in this unit and it could not have been more perfect!!! We will definitely be returning sometime in the future! We return all inquiries, even if our unit is booked. If you have not received correspondence from us with-in 24hrs of your inquiry, please call or email us again. Please check our online calendar as we update this daily.